Now, it has been twenty years that the Festival ArtFutura has been moving forward in parallel with advances in information and communication technologies (ICT) in all aspects of culture and society. It is true that today we can affirm that the digital technologies are omnipresent and have radically changed the way in which we see and live in the world around us. Never before has communication technology become implanted so quickly in our culture and the history of the festival bears witness to this. Throughout these years, ArtFutura has been echoing this growing impact of digital technologies, reflecting on the changes that have arrived and on those to come, foretelling the future that is awaiting us and the utopias, dystopias or realities that accompany us in this passionate trajectory. Today, some of those premonitions or predictions that were launched in the nineties have become more than true, others have been complete flops, some have complied perfectly, others are still waiting for the right moment to materialize. The will of the future has been filling the pages of the festival’s history with a great deal of optimism that has been renewed year after year and that today, from our retrospective view, allows us to outline as much predictions that have become reality as those which were erroneous. An observatory of innovation and emerging creativity that permits us to launch analysis and prospective conclusions on the past, present and future. Deep down in this future will, we find different overlapping technophilic approximations – where digital technology exercises a radically revolutionary role in culture and society - with more realistic approximations – where the analysis in real time of the changes introduced by ICT correspond to a gentle objectivity – in the same way as with other technophobic approximations – where the ICT are perceived as a potential treat to humanity and the world. In its edition of 1997, the festival centered attention precisely on “The future of the future”, speculating on the possibilities of the growth of Internet predicting a panorama in which, in 2000, there would be four hundred thousand users of the network. The reality is that today, in 2009, we find a quarter of the world’s population, which is to say 1.5 billion users, connected to Internet breaking the most optimistic prediction that could have been made at that time. Paul Virilio, the most critical of technofatalist prophets, was one of the guests of an edition in which the hope of progress and future will coexisted with the distrust of the challenges which humanity confronted with the new technologies and sciences restructuring established relationships. Other participates of that edition, Arthur and Marilouise Kroker, affirmed that “The Network is a digital mirror that returns to our nomadic bodies the reflection of their destiny as it externalizes in a world of artificial intelligence, recombinant genes and data flow.” And, while, in this same year 1997, in the German city of Karlsrühe the Zentrum für Kunst und Medientechnologie (ZKM) was opened which was to become the jewel of the crown of the centers dedicated to art and digital culture of the following decades and which along with the recently created Ars Electronic Center, in the Austrian city of Linz, was to become one of the two indisputable centers of reference on an international level. Two decades of festivals have made it possible to deal with all sorts of questions related to the transformations caused as a result of the introduction of ICT in all aspects of culture and society. They have made it possible to observe the massive popularization of certain technologies which were previously limited to a highly reduced elite. They have enabled us to evaluate epistemological, anthropological, sociological and even ontological changes that have brought us the innovations that have been transforming our daily lives. They have been observing the boom and malaise of some technologies while attending the consolidation of other technologies with which today, it would be practically impossible to do without. They have attended the “naturalization” of certain technologies that today have become invisible – for example, bringing the computer into line with a simple washing machine or simple spectacles- when before, they were perceived as something particularly “artificial”. ArtFutura is an expression and display of the latent contradictions of our culture, contradictions that today, we do not necessarily perceive as being so much from poles apart, but from zones of confluence and neighborhood in a rich and fertile continuum of cultural manifestations of all sorts. That leaves the ferrous dichotomy between popular culture and high culture, between industry and culture, between artistic-humanistic culture and the technoscientific culture, between entertainment and a significant experience, between passive consuming and active creation, between the commercial and the alternative and independent, between tradition and innovation, between technology and culture, between a lot of apparently confronted postures which, in the present new framework, now find themselves on the same plane, within the same diverse ecosystem that makes them tremendously fertile. 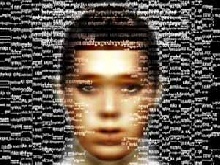 While the new era was announced by the symbolic fall of the Berlin wall in 1989, John Perry Barlow described, a year later, cyberspace as being “that place in which you are when you speak to someone on the telephone”, and the metaphors such as “global mind”, “connected intelligence” or “second skin” that McLuhan brought us came about to try to explain and understand the advances that the ICT were promising us in the incipient development of what was structuring the World Wide Web. It was barely years ago when the massive boom in personal computers accessible to all of the population came about. The graphic interface of the user with the metaphor of the office computer the information – which today we continue using – it was on the agenda, and the graphic capacities advanced at giant steps in parallel to the increment of the calculation potential of computers. In this context, populated by pioneers and visionaries who created new technological tools at the rhythm they imagined their new possible uses, the ArtFutura festival came into being with the objective of “offering new global forms of understanding art and life and new ways of expressing our visions and emotions” just as the festival’s director, Montxo Algora, declared at the first edition in 1990 dedicated to Virtual Reality. It was an emotive moment in which the systematic exploration of the possibilities of computer-assisted creation had started to become consolidated from digital animation to the first interactive installations as much in the territory of art linked to centers of contemporary culture as in the territory of industry and entertainment. 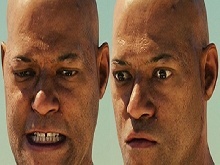 This can be seen from the early works by pioneers such as John Lasseter/Pixar or William Latham to the experiments carried out by Karl Sims or Masaki Fujihata and his algorithmic art. Jaron Lanier had just coined the term “Virtual Reality” (VR) – an oxymoron that alludes to the communication technologies that allow interaction with synthetic stimuli created in real time – and contributed decisively to the popularization of its possibilities. Meanwhile, writers such as William Gibson in his novel “Neuromancer” (1984) continued to speculate on the social and cultural significance of what it could all bring to our civilization. That first Edition of the festival was able to count on precisely the participation of Gibson as well as with an authentic pioneer of VR, Scott Fisher from NASA, member of the team that created the first hypermedia system, the Aspen Movie Map (1978). Artists and scientists working together imagining a future yet to be outlined in the development of the creative potential of the technologies. Rebecca Allen, in the 1990 catalogue, wrote, “All of these technical capacities leave us with the responsibility of creating models of realities that bring new paths to improve the human condition. We should continue to combine intuition and artistic expression with scientific compression in order to be able to discover new perspectives of reality”. However, the fact is that nowadays VR has a use more limited to artistic installations, industrial applications for simulation and academic investigation, and the initial promises have been redirected towards more accessible spaces of interaction such as videogames or the newly appeared possibilities of “Enhanced Reality” (ER) and the possibilities of ICT in culture, where “the physical and virtual worlds cannot now be understood as unconnected universes (…) and urban space, social space, and intimate space are becoming to be seen more and more complemented by information space” as wrote the Festival’s assistant director, José Luis de Vicente, in that edition. Programming languages such as VRML and later X3D proposed for that time an idea of a virtual world that would soon see itself exceeded by the interactive pragmaticity of videogames. This was a clear example that the virtual environments would become more popular if relationships and interaction (with other players or with other machines) were prioritized. This became evident with the appearance of Internet and videogames distributed online which convoked the interaction of thousands of users from all around the world and was a major theme at the 2001 edition of the festival. Videogames, which quickly became introduced in the program of ArtFutura as a privileged environment for experimentation with the new mediums, have offered interaction, speed and events which is to say, actions with marked objectives. If, in the beginning, the virtual environment that they represented was not as sophisticated as immersive VR, they soon evolved and today, we can affirm that they even influence the narratives and the themes of action cinema itself. Montxo Algora stated that 2001 that “videogames had not only become the most powerful of the entertainment industries, but that their unquestionable impact on contemporary culture and their capacity to create paradigms which are later reproduced and recycled by other areas of digital creation have consolidated this form of expression with thirty years of history into a legitimate artistic medium within the commercial world.” In this way, the festival ArtFutura has always stood out because of the way in which it mixes proposals that come from artistic backgrounds and proposals from the world of entertainment making it possible to observe the evolution of the difficulties of both in social, technological and cognitive terms. Let’s remember that it was the year of the “night of the mobiles”, in which Spanish citizens, upon exchanging information at high speed on the disinformation concerning the events of March 11, directly influenced the results of the general elections that were to take place 24 hours later. Since the irruption of the first common networks with the Groupe Special Mobile (GSM) that would make a European cellular network possible (1992), to the commercial launch of third generation mobile telephones, or UMTS (2001), there has been a spectacular advance of the transmission of information by means of cordless telecommunications. The fusion of virtual information space and physical space in which we move around was a reality contrasted and projects such as “Can you see me now”, from the collective Blast Theory, which participated in the edition, bore witness to the real possibilities of materializing this enhanced reality. During this edition of the festival, there was not so much talk about predictions and future perspectives, but about the fact that digital culture was starting to become a popular reality outside the restrictions of any limiting specialization. This continued impulse of submission of virtual space to physical space, destined to enhance the possibilities of this last one, was inscribed well within the same principals that pursued many pioneers of information and communication technology such as Vanevar Bush and Douglas Englebart. The humanization of the ICT went from their rematerialization and redesign in base to forms that were closer and more able to relate to the world, things and humans. Reality was “enhanced” by adding information placed in the virtual space of information, the objects went on to contain more information than that which in principal appeared in the same object. The popularization of the GPS systems, global positioning systems, opened new possible ways of relating to the territory that was becoming globally computerized. In turn, more technologies started being used such as radio-frequency identification, RFID tags, a system of storing and processing information by the use of tags with the objective of transmitting the identity of an object (similar to a number in a unique series) by means of radio waves. 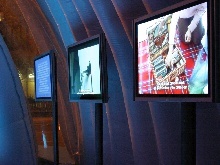 The 2005 edition of the festival had as its theme these “living Objects, Sensitive Spaces” and was based on the fact that “the experience of the contemporary citizen, in addition to the streets they walk and the buildings they inhabit, depends to an increasing extent on the electromagnetic frequencies to which they give shelter and to which they have access. This invisible dimension, the hertzian space, has gone from being nothing more than a preoccupation for telecommunication engineers and regulating bodies to become rich terrain for cultural analysis, of political tensions, and artistic exploration, “as announced by José Luis de Vicente. One of the guests at that edition was the writer and “visionary of design” Bruce Sterling, who described the form in which space and objects started to possess “intelligent” characteristics which gave them new forms, materials and even mobility. In the same way, proposals were presented that intended to give physical form to the incorporeal material of the network, the bits, the basic energy of the machines. Also present were the projects of the ILM (Industrial Art & Magic) that showed the historic evolution of visual effects for film and video productions. And, in the other extreme, in the organic and functional design of objects that were intended to transmit “life”, we were able to enjoy the intervention by the artist Theo Jansen with his Strandbeests, his beasts from the beach are absolutely artificial creatures that integrate into the natural landscape as one more and that evolve based on studies of their behavior that begin with the algorithm and finish on the beaches of Holland. In 1991, Tim Bernes-Lee announced the creation of the World Wide Web, a project from CERN that would permit the interconnection of various networks on a global level and facilitate the diffusion and expansion that would take place over the following years until it flourished between 1996 and 1997. This snowball effect was due to the absence of central administration along with the ownership-free nature of Internet protocols which made open interoperability possible along with the impossibility of an excessive monopolistic control. According to present estimations, at the beginning of 2009, 1.5 billion users were connected to Internet. Its implantation in our society has been spectacular in this sense with such impressive progressions that would have been unthinkable in 1991 when all predictions made fell short. In the edition of the festival dedicated to Cybermedia, theorists and artists such as Derrick de Kerckhove, Perry Hoberman and Laurie Anderson speculated on the future of the media under the impact of the ICT. The words of Marshall McLuhan resounded all around when he stated that “in this electronic age, we see ourselves more and more translated into information that leads us to the technological extension of consciousness”. Derrick de Kerckhove reminded us of some other words from McLuhan “introducing our physical bodies in our extended nervous systems, with the electric media we have established dynamics by which all of the technologies of before, which are merely extensions of our hands, feet, teeth and corporal temperature (controls), all of these extensions of our bodies, including cities, will be translated to information systems”. The transformation occasioned by the new mediums advanced at a social level as well and in its first year, 25,000 computers were connected to Internet. The global mind or collective thought ceased to be a utopian idea to become a proposal in a defined form: the web. As a result, institutions such as the Whitney Museum started to give relevance to digital artistic practices by acquiring, for the first time, a work of net.art for its collection, “The World’s First Collective Sentence” by Douglas Davis, and not by chance, a collaborative piece that combined different mediums and discourse, something the web made possible. The progressive socialization of the new mediums such as Internet and computers led to centering the 1995 edition in the Virtual Communities. Although virtual communities have existed since 1978 with BBS (and later with FidoNET, etc.) with the arrival of Internet, the expansion of the possibilities of interconnection permitted greater connection with society. Virtual networks were created at all levels from the most specific to that later called social media. Years later, when Internet was consolidating itself as a revolutionary medium in many parts of the world allowing new agile channels for the distribution of information at a planetary level to be introduced, the festival explored the ideas that had been left behind in 1991 to center the festival’s thematic in “The Second Skin” (1998). The second skin was presented as a concept developed by Marsal McLuhan, who stated that the electric network was present in the world, but also in the human body. According to the author, “electricity functions like touch. If the mediums are an extension of our body, the networks amplify our senses”. This second skin suggested the importance of our emotions in our communication with machines while, at the same time, it explored the deep interconnection that exists between the media and humans and their view of the world. The following year (1999), the reflection on the way in which these new means of communication would change man’s general conduct led to centering the festival’s theme in “Digital Leisure”. The profound transformations that are taking place in the creative industry as a result of the irruption of the ICTs are bringing about radical changes in the creation, production and distribution systems as well as in the reception system, which is to say the behavior of humans in relationship to these means. Questions arise such as will people be prepared to leave their homes and their high definition televisions with which “they are hypnotized by 500 TV channels” in order to visit the traditional venues of entertainment such as theme parks or museums, for example. The dystopias of digital leisure absorbed in the home did not count on the appearance and speedy consolidation of the ubiquitous technologies that made a greater integration between virtual space and physical space possible. Some years earlier, the “guru” of marketing and consumer behavioral tendencies Faith Popcorn predicted that people were going to live in their houses with the most modern multimedia appliances like recluses engrossed in a shell and isolated from the exterior world. Nowadays, the new technological apparatus permits a mobility that combines the connection and the experience out of the house. Now, it is unnecessary to choose between home (virtual interactions) and the street (“real” interactions). Once again, technological development adapts to existing (non-digital) social life, but, at the same time, changes it drastically. Two years later, Apple launched the iPod as a portable device for storing and reproducing digital music. Between November and the end of December, 2001, 125 thousand units had been sold in the world following a spectacular progression that contributed to accelerating the changes in the ways of consuming music. Another of ArtFutura’s important themes over the years has been the successive changes in the area of consciousness, including within life itself, as a result of the new cognitive and perceptive possibilities that the new technologies have brought us. In 1992, the festival fixed its attention on the idea of a Global Mind and centered on the new telematic networks of global communication. The focus point of interest was in the relationships between the individual and the global information network stemming from the new possibilities that were announced with the simultaneous connection of computers and the velocity of the transmission of information facilitated by the new technologies. The investigator, Roy Ascott, presented his studies on collective mental networks and Terence McKenna talked about shamanistic rituals and their relationship with another idea of temporality. Technology, science fiction literature, mystic consciousness expanding rituals, biotechnology were the starting point for reflection on the new concept of the mind as collective memory. The euphoria about the possibilities that were announced as of the new generative animation technologies to the biotechnological was clear in that moment, and, in fact, three years later, Dolly was born, the cloned sheep that impacted public opinion all over the world. To talk about artificial creatures implies thinking about the conception of nature, man and their possible relationships. The monsters present in popular culture are a combination of opposites (man+wolf, life+death, man+insect) that come out in an order that guarantees that we are different elements and that man, without a doubt, is superior. Stelarc, one of the artists invited to this edition, showed us the contrary. His performances made the fragility of the human body and its lack of preparation to live and adapt to new environments, such as, for example, extraterrestrial space, evident. In this way, Stelarc took the same relationship with technology to its ultimate consequences by transforming his own body into a receptacle of electronic devices which used his muscles and brain pulsations as a source of energy, technology as a parasite on his own body. The utopias and dystopias of the robots were dealt with in that edition by guests such as Bruce Blumberg, Knowbotic Research, Alex Adriaansens and Chico MacMurtrie among others. From the fantasies of Mary Shelley’s Frankestein to the NASA’s cyborgs, every approximation to artificial humans has represented the actualization of the technological knowledge of each period. The increase of human capacity has, in some ways, as its main aim the construction of a robot in human likeness. The idea of network as an extension of thought is what transforms our minds into Cyborg. A mind whose consciousness is multiple and global and that was the object of the 2000 edition centered on the idea of “Internet as Cyborg”. At the same time, at this moment the convergence of the mediums in the digital environment is being debated. Xavier Berenguer stated that “the second age of cyberspace, in which we now all find ourselves, stands out because of the emergence of interactive programs, or rather, programs that intermediate in the release of content. The great impulse of these programs is the net, a net that is now no more than an infrastructure for production, management and financial transmission, but that will end up mediating the majority of human activity among which will be entertainment and art.” However, to what extent will this process really propose a novelty in terms of processes and cultural production? The hackers, the trekkies will be responsible for subverting and making a more ample conscious use of the information or the power of the images will continue to fascinate and control and to create nothing more than more sophisticated ways of hypnosis and idolatry. All of these questions and many more were dealt with in the 2008 edition centered on “Souls and Machines” and the interaction between technology and art, an edition that was previously developed in an exhibition in MNCARS in which outstanding pieces of digital art of all kinds was shown from Software Art, net.art, manipulation of images, Biotechnology, Artificial Life, Robotics, Virtual Reality, Data Visualization. All of these terms that leave a trace of the paths on which art and science have come together and are coming together. The ICT have transformed our culture and society and along with their progressive implantation they have transformed the processes of creation, production, diffusion, distribution and reception in each and every one of our cultural sectors. It is only necessary to look at the radical changes that have taken place in the music and audiovisual industries or the exponential development of the videogame industry and its presence in society. What we see today as being evident, seemed to be authentic science fiction in 1994 when ArtFutura centered its attention on the recently emerged Cyberculture, under the inspiration of pioneers such as Kevin Kelly and Peter Rubin. It was then that using the concept of the network as an idea of connections between different individuals and collective activities in the “noosphere” started. Electronic music, videos, photos, digital animations, videogames started to be less difficult to produce and share and were beginning to penetrate deeper and deeper into our culture and society in general. In that year, the browser Netscape had been officially launched and Yahoo (and it should be remembered that it means "Yet Another Hierarchical Officious Oracle") presented their first version while Sony revolutionized the videogame market with the console, Playstation. Invariably, the latent preoccupation of all of this was the question about who would be the ones who would have the right to participate in this Cyberculture and to what extent the growing quantity of available information would be freely shared away from the private properties of the large corporations. The defense of freedom of information, in line with ideas defended by cyberpunks and hackers, ceased to be an idea for a fictitious future and started to be considered a present-day problem to be dealt with urgently. With the boom of Internet and the popularization of computers as machines for creation, work and leisure, one of the most specific and strongest aspects of the ICT was progressively explored: collective participation and creation. 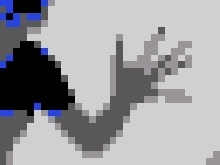 If the first works of net.art - such as the pioneer Handshake by Barbara Aselmeier and Joachim Blank, or File Room by Antoni Muntadas - appeared in 1994, with time, the potential for participation made possible new and interesting explorations that ranged from collective creation to virtual communities, which was the theme of the 1995 edition as we have previously mentioned. Little by little, society was becoming conscious of the real possibilities of the ICT as their implantation extended to all aspects of our lives. Those dynamics so essential to digital culture were once again dealt with in the 2001 edition in the theme “Collective Art, from Distributed Intelligence to Games Online”. This was the year of the attack on the Twin Towers in New York with the omnipresence of the media in the tragedy and the uncertainness of the future for world peace being present in the general atmosphere. The network of networks showed itself to be an indispensable tool for the diffusion of information of all sorts during a colossal catastrophe. Meanwhile, the festival presented a selection of artistic works, design, animation and publicity created on networks and of a collective nature. The main underlying theme dealt with was the question of the process of collaborative creation as something that obviously had not started with Internet, but that had been seen to be developing with the new forms of creation on the web facilitating its own development as well as new uses. This collaborative dynamic in the context of digital culture stemmed from the same modus operandi that the hacker culture of collective programming had pursued since its beginnings. The Demo competitions (game demonstrations or computer applications) from the beginning took on special relevance as an example of a product of creation and collective use that could be understood as much as art in the new media as commercializable product on the market. The 2001 edition gave special importance to the panorama of videogames and games online and also featured one of the developers of the videogame SIMS (Jamie Doornbois) that had been number one in sells in previous years. Sims, as is known, proposed a different form of narrative and game format, which in addition, with its later launch as online version that same year, would change the very nature of interaction in online games. The following year, the festival continued to deal with the changes in the relationships between culture and technology in a direct way. The transformation of culture by the new possibilities that the technologies opened were taking shape while new screens with a contrast as good as paper were appearing in Europe, 70 million users were connected to Internet. In Spain, at that time, MediaLad Madrid was created with the objective of being a center of information, production and diffusion of art and digital culture, which, although had nothing to do with it in form or orientation reminded us in a way of the pioneer Centro de Cálculo, Madrid that in the 70’s produced the first works of Computer Art in the State. That same year in the USA, the first large exhibition organized by an institution such as the San Francisco MOMA, not specialized in digital art, took place: "010101 Art in Technological Times" curated by Steve Diet. And the North American museum Whitney launched Artport, a portal curated by Christiane Paul dedicated to works of net.art and digital art in general. It was a good moment for art and digital culture that found itself recognized and legitimatized in some way by some of the most representative institutions of contemporary culture. For this reason, the 2002 edition of ArtFutura proposed the theme “The Network as a Canvas” presenting in an explicit way the relationship between contemporary art and digital art. The concept of a canvas as a space in which to propose, produce and exhibit the work is the metaphor for the digital space. From the point of view of organization, this way of seeing digital creation allows us to expand on some of the typical problems of the arts and to make new forms based on interactivity and massive distribution possible. In the same way, this invites us to reflect on the parameters of the aesthetics in digital creation, the frontiers between art and design, the role of the artist and of this new public which is individual and collective at the same time. If art is no longer the same, the artist is not either. The new means of production and distribution create new questions concerning copyrights that, in that year, became more visible with the creation of the Creative Commons licenses as being alternative and more flexible than the rigid and traditional copyright licenses that are incapable of adapting to the new culture that artists and theorists such as Cory Arcangel and Pablo Soto, participants in that edition, took on to defend and debate. The importance of the historic moment being lived in which the everyday of the digital technologies invited us into hybridations of worlds -- on and off line, digital and analogical, cultural and technological – led us to continue insisting in the relationship between the contemporariness and digitalness of our culture. In 2003, “electronic paintings” were launched as a product for the public in general and the number of PCs sold was then 160 million which shows in this way to what point products that were 100 per cent digital technology became, to a certain extent, fundamental to family life. In that context, the festival adopted as its theme “Stretched Paint” and advanced in the debate on the relationships between traditional and digital arts now in a more critical tone. One of the guests at the edition, Lev Manovich, proposed these words: “If there is one social field whose logic is similar to the logic of “digital art,” or “new media art” in general, in my view this field is not contemporary art, modern art, or design, but computer science.” Inevitably, there were questions about the rigidness of the artistic institutions (museums, galleries, market) as well as the convenience of changing the established dynamics for other newer forms more suitable for the new context. Blogs, which emerged with strength, meanwhile proposed new ways of writing. Are they a new way of communicating information? It quickly became clear that they would stand up as an authentic counterweight to the standard means of communication and with time, they consolidated themselves: Today there are more than 71 million of them according to Technorati. Soon cases of successful citizen organization came about as a result of ideas diffused in blogs. The figure of the blogger started to be socially recognized and to the debates guests of the caliber of Meg Hourihan (co-creator of the service Blogger), Anil Dash (member of the team Movable Type) and Xeni Jardin (editor of Boing Boing) were invited. However, to the analysis of the cultural transformations due to ICT soon were to be added new ways of analyzing culture thanks to the possibilities of information treatment that the digital technologies brought. Never before had the human being been able to process such a quantity of information and convert it into significant information. The quantification of culture, the capacity of gathering, storing and processing enormous quantities of data opened new possibilities for the analysis and knowledge of culture itself. 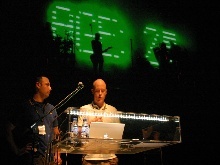 The 2006 edition precisely dealt with the cognitive potential of the visualization of data, “Data Aesthetics” was the center of the festival’s theme that year with decisive interventions from outstanding agents such as Andrew Van de Moere, editor of Information Aesthetics. Just when everyone was starting to talk about the web 2.0 with its multiple definitions and applications it became clearly necessary that we would have to move away from the dominion of the basic interface – the purely visual image – in order to move on to think about the data and codes as creative aesthetic possibilities. It was no longer a question of showing images and telling stories, but of interrelating information which is far from being an easy task and which per se demands a type of highly sophisticated architecture from as much a technological as conceptual creative point of view. While the idea of the comprehension of life as an information system was becoming popularly accepted and the techniques of cloning perfected, in the field of videogames, consoles such as the Xbox 360 had been launched onto the market and the PS3 was awaited with great expectation. The revolutionary control of the Wii from Nintendo that made it a more lively kinetic game was launched in the same year and revolutionized the world of videogames and the forms of interaction getting the users our of their chairs and away from the table console. Along with this, the videogame developer Kawakubo, guest at this edition – and key figure of the moment – defined himself as someone more interested in giving new uses to existing technology than discovering new technologies. In this way, the new visions of culture and society that bring us the new tools make new more complex interpretations possible. The relationship of the digital technologies with the cultural field has definitively stopped centering itself in science fiction and a desire of future to content itself in the present continuous and the everyday. At the beginning of 2007, the center of art Laboral was opened in Gijon and called a Center of Art and Industrial Creation. It is a project of ambitious proportions and totally destined to the productions of the new technologies which is something that would have been impossible to imagine not many years ago. The introductory text of the 2007 festival, “The Next Web” started by stating that “the everyday has won the match against the visionary”. Reality shows the way in which individual initiatives have had more impact on social structure than the grand promises of the latest technology. What Internet has permitted is the appropriation of these initiatives by a global community with a diversity of differentiated agents making up its richness and strength. Steve Johnson speculated then by saying that “Internet is no longer an international library of linked pages, but an ecosystem of information in which data circulates like nutrients in a tropical forest.” This collective intelligence of which so much has been said is now who decides what will be relevant in a true bottom-up structure. From “dunes” to “tropical forest”, from “brain” to “second skin”, the metaphors that theorists and artists have proposed over these years allow us to perceive that the universe of information technology, which for so long has been a synonym of artificialness, has shown itself as natural and permeable to the physical context as the social systems “non-computerized”. Cognition and communication, defining concepts that are understood by a human cannot be studied away from technology. The co-production of social stratus, cognitive, communicative and technological should be taken into account in a way interrelated to the discovery of its interdependency. For twenty years the ArtFutura festivals have marked an itinerary that has gone from virtual reality to the social networks. Everything from the so called web 2.0 to the massive phenomena Facebook show the buildup of what was announced two decades ago that technology is as socially built as the social is technologically sustained. From the very moment of the creation of a technology there have been theorists that have foreseen the death of the previous medium. Cinema has not killed theater, nor has television the cinema and, although forms of writing have changed, it is also certain that the electronic book has not killed the book, nor have social networks destroyed interpersonal relationships. ArtFutura has been correct in proposing ideas of the future over the last two decades without having chosen between the real and virtual. We now know that it is not a question of an election o/o, but of a combination that demands that the physical world as much as the virtual mutually transform and augment in reciprocity. In this way, in its pulsation and intent to foresee the future, over two decades the festival, ArtFutura, has enabled us to understand the present of our reality which is created in front of our eyes.